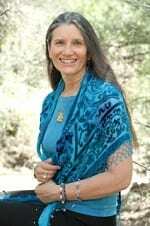 Sandra Ingerman, MA, is a world-renowned teacher of shamanism. She is recognized for bridging ancient cross-cultural healing methods into our modern culture addressing the needs of our times. She has been teaching for over 30 years. Sandra conducts workshops internationally on shamanic journeying, healing, and reversing environmental pollution using spiritual methods. She was given the 2007 Peace Award from the Global Foundation of Integrative Medicine and was chosen as one of the Top Ten Spiritual Leaders of 2013 in Spirituality and Health Magazine. A licensed therapist, she is the author of 8 books including Soul Retrieval, Medicine for the Earth, Shamanic Journeying, How to Heal Toxic Thoughts, The Shaman’s Toolkit, and Awakening to the Spirit World. Sandra is also the author of 6 CD programs produced by Sounds True. To read articles written by Sandra and for more information on her work, please visit www.sandraingerman.com.